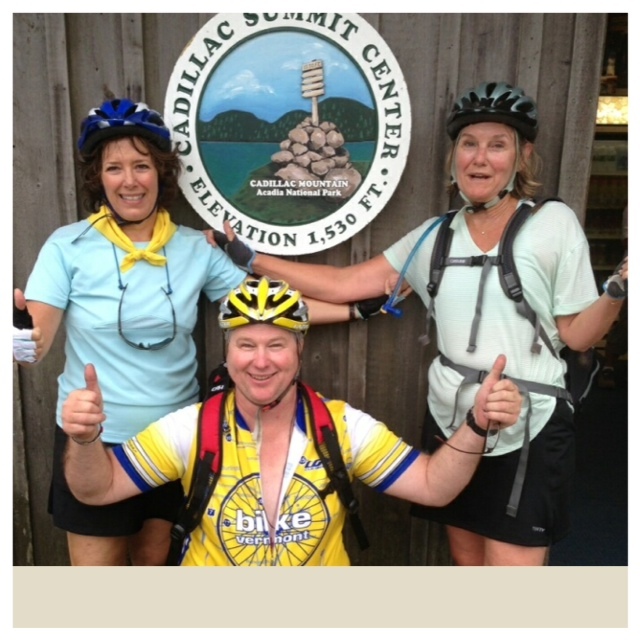 Maine’s Cadillac Mountain and some fun cycling ‘facts’! 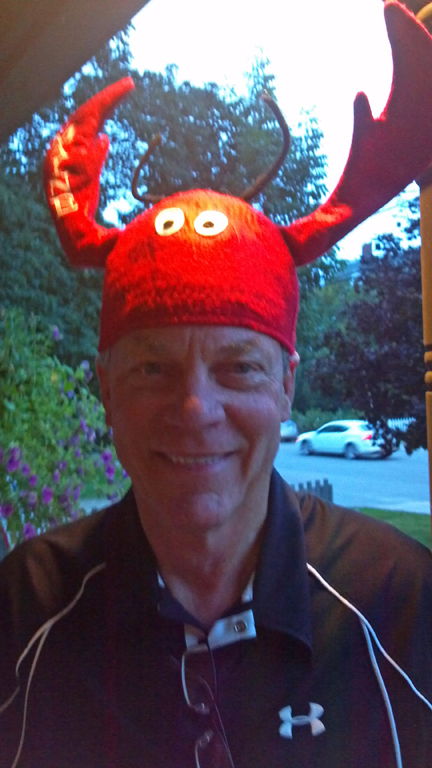 This is a fun bit of information that just came in from tour leaders Bill and Cindy who were just leading the Coast of Maine tour. Apparently all 18 guests and the leaders enjoyed a ride up Cadillac Mountain (located in Acadia National Park) on our Discovery Bicycle Tours Coast of Maine tour. At a wine and cheese gathering before dinner the follow calculations were made regarding the tour group’s success! And 3 more at the summit! 3. Total feet of altitude gained = 32,130. Taller than Mt. Everest (which is 29,029 ft)! Part of the tour group on a sunny day! And now some confirmed facts…Cadillac Mountain, at 1,530 feet, is the tallest mountain on Mount Desert Island and is the highest point along the North Atlantic seaboard. From October 7 through March 6 of each year it is the first place to view a sunrise in the United States. 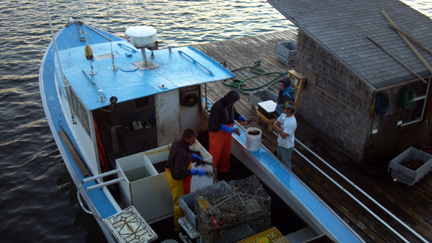 Bringing in the day’s catch! Approximately 40 millions pounds (nearly 90 percent) of the nation’s lobster supply is caught off the coast of Maine, and Maine lobsters have won international fame for their flavor and contribution to the culinary world. That’s all folks! Have a great weekend! 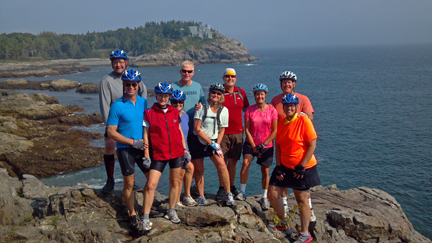 This entry was posted in Maine Bicycle Tours and tagged Acadia National Park, adventure, Bar Harbor Maine, bicycle, bicycle tours, bicycling, bike, bike touring, biking, Cadillac, Cadillac Mountain, cycling, Discovery Bicycle Tours, inn-to-inn bicycle tours, lobster, Maine, Maine bicycle tours, OUTDOOR ADVENTURE, Park Loop Road, Sports, United States. Bookmark the permalink.